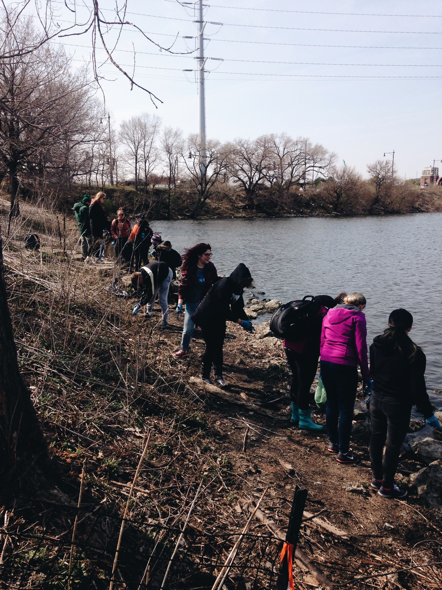 This past Wednesday, April 12th, the students of the Sustainable University class ACP/SUST 250 ventured to Canal Origins Park for a special day of community and environmental service along the shoreline of Bubbly Creek, where it meets the South Branch of the Chicago River. This was an eye opening experience. 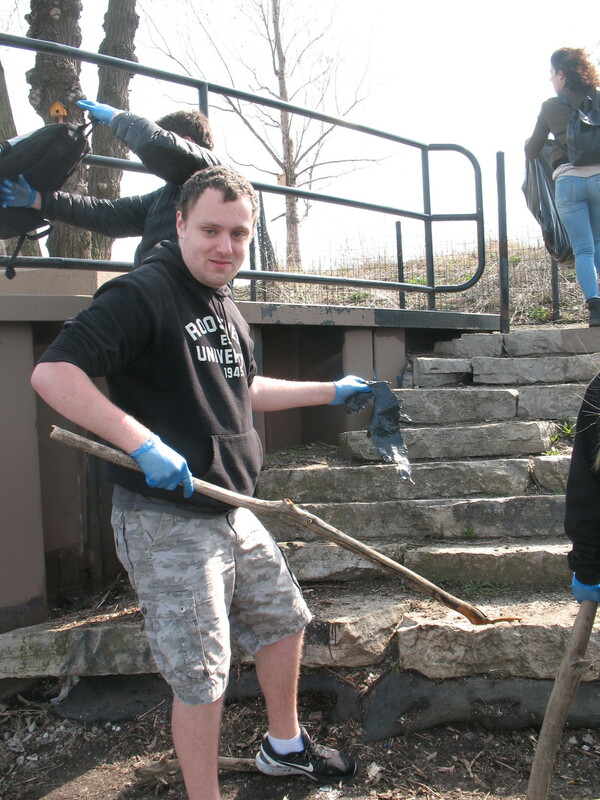 Not only had most of the students never been to this specific location on the Near Southwest Side of Chicago, but many had never really done any community service work before. 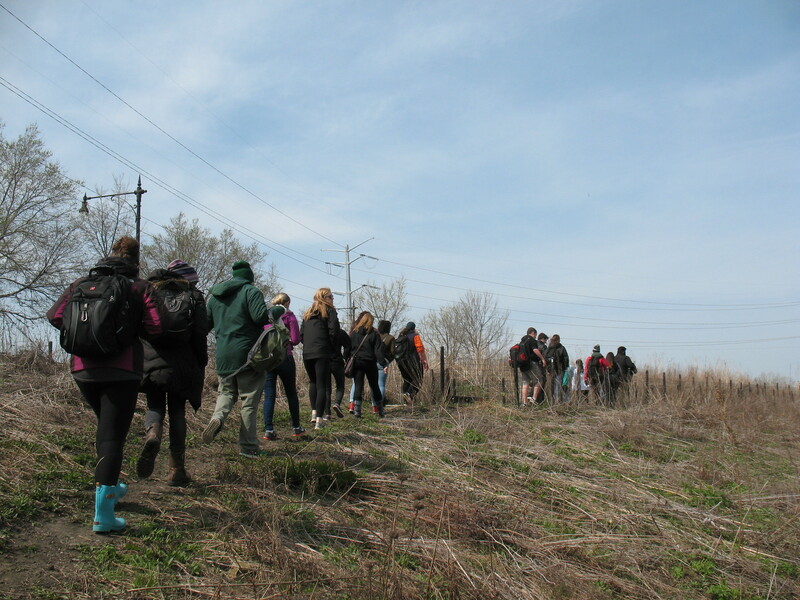 After a brief introduction to the geography and environmental history of the location by professor Mike Bryson as we hiked through this park along S. Ashland Avenue, the class made their way to the riverbank to start collecting trash. Students were equipped with different types of garbage bags in order to separate waste from recycling, gloves, and hand sanitizer. 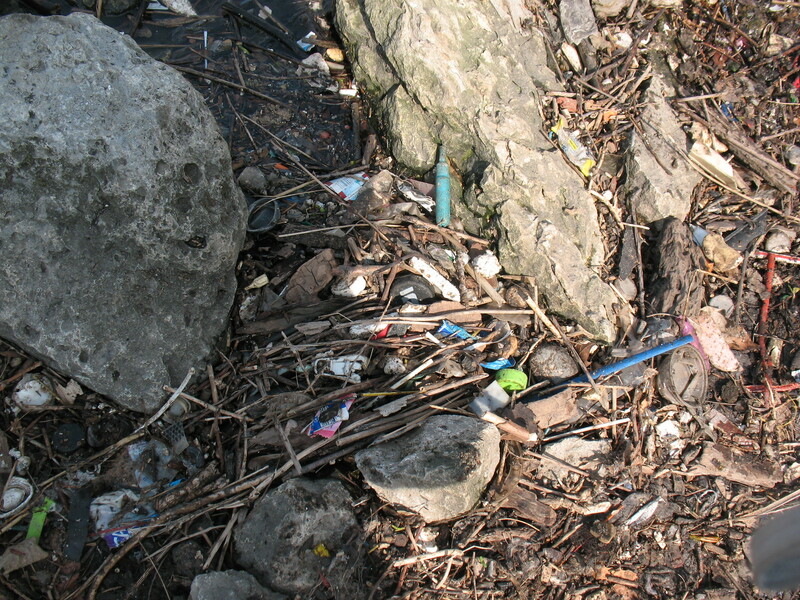 Literally everything one would imagine and more was present on the shoreline of the river. The trash bags came to be filled with paper, bottles, boots, wallets, cans, feminine care products and plastic of all types — lots and lots of plastic. It was interesting and oddly intriguing to see the amount of waste that humanity is able to produce and then just leave behind. The concept of waste in a public space is something that many may overlook. 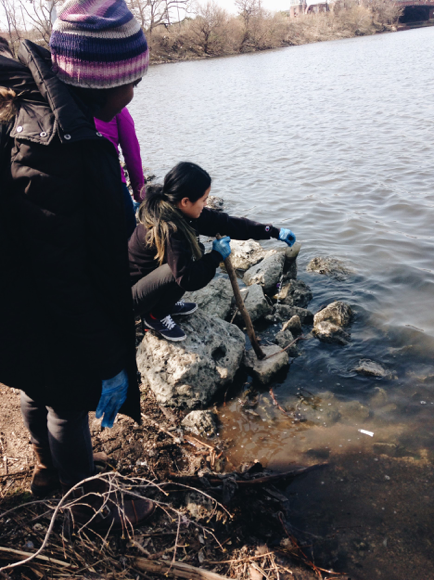 It may be something that most are used to, or just do not pay much attention to — nonetheless, it was illuminating here at Bubbly Creek to actually see what our waste does to the environment around us. An environment that has the capacity to create and sustain a healthy living space both physically and emotionally — if we are willing to do the work of restoring it from a decades-long legacy of abuse. This was a one-time project for our class, but it taught a lifelong lesson on the effects of our actions on the environment. 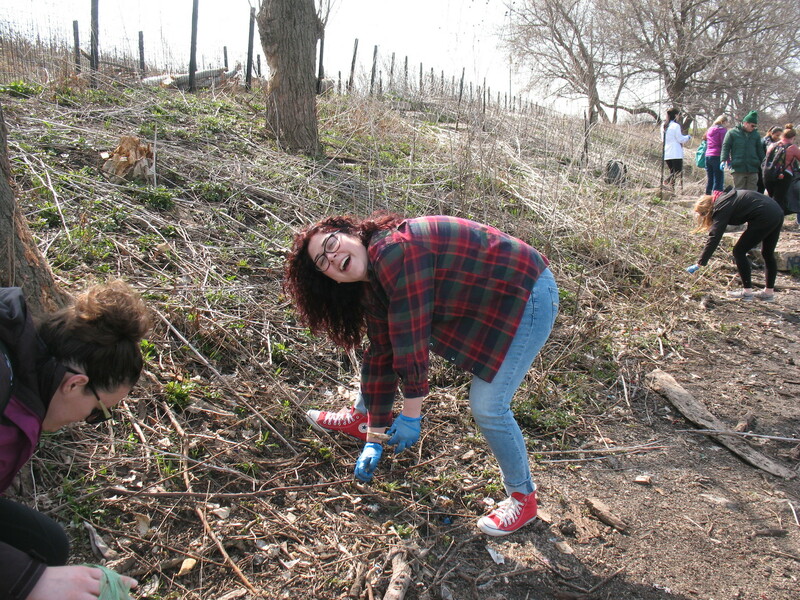 Taking the time to care for our beautiful city will help us take better care of ourselves. Text by Kyria Fortina; editing by Yasmeen Lipprand and Mike Bryson. This entry was posted in activities, courses, education, field trips, parks and public land, pollution, Roosevelt, service, students, waste, water. Bookmark the permalink.